The ARB Simpson III rooftop tent will provide the ultimate in ease and convenience when travelling. 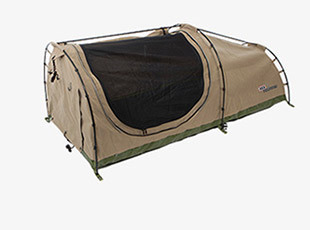 Unfolding in minutes, a rooftop tent provides sleeping quarters off the ground, protected from the elements. Spacious and comfortable, all bedding can remain inside the tent during the journey, freeing up vital storage space in the vehicle, and allowing the tent to be quickly and easily packed away. 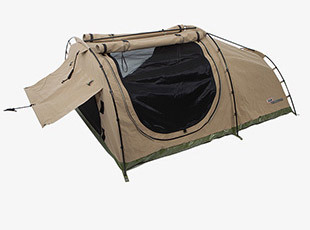 With a lightweight, user friendly design, the Simpson III tent is easy to erect and operate. High density, bonded chip foam mattress will comfortably sleep two adults. A convenient storage pocket provides a home for smaller items such as keys. The sturdy aluminium retractable ladder provides easy access to the tent. The optional zip-on annexe provides added space and protection from the elements. The tent comes complete with a UV stabilised, laminated PVC cover for when the tent is packed away. The Kakadu has been designed with warmer climates in mind and is packed with numerous features to make your off road camping adventures all the more enjoyable. For increased ventilation, the Kakadu features larger side window openings without the canvas awning over the window exterior to allow for greater airflow and increased natural light. 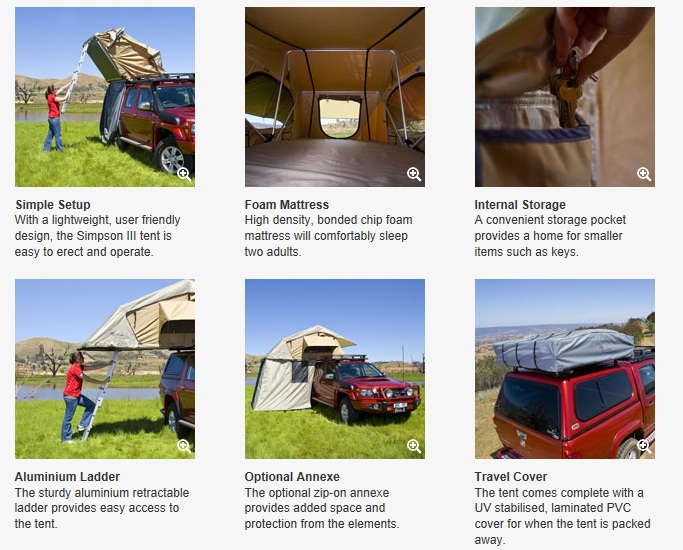 The tent is also ideal for fitment to the rear of utility/pick-up vehicles and trailers where the floor level can be mounted lower to the ground without accessibility issues to the tent. Incorporating the latest in swag design and comfort, the all new ARB SkyDome swags have been designed from the ground up to meet the exacting needs of 4WDers and tourers alike. Over the years, the humble swag has evolved from a simple sheet of canvas, to a tapered design and more recently to dome shaped structures. This evolution continues with the unique shape and design of the ARB SkyDome swag. To counter the claustrophobic feeling caused by some swags, ARB's SkyDome range has been designed with very generous dimensions in length, width and height. The industry leading height from head to hip allows occupants to move around freely and spread out without any feeling of confinement and the large mesh areas provide excellent ventilation to reduce internal condensation and allow greater airflow in warm climates. Freestanding, the ARB SkyDome swags require no pegs or guy ropes when deployed on flat surfaces and the use of waterproof materials and a 75mm thick high density convoluted foam mattress will ensure a dry and comfortable night's sleep in any conditions. The SkyDome range includes both single and double configurations and can be purchased with the optional Boot Swag to keep footwear and other gear dry and away from the elements. Perfect for both quick weekend getaways and longer Outback escapes, the SkyDome double swag is designed to sleep two people in comfort without creating feelings of claustrophobia. Featuring dual, low entry doors which roll to meet in the middle for excellent sky vision from both sleeping positions, the SkyDome double swag, like its smaller sibling, is manufactured from 450gsm water and rot proofed canvas tested to Australian Standards. The heavy duty 820gsm PVC base with welded seams is fully waterproof and extends 75mm up the side of the swag to prevent water seepage from puddles and light flooding. Freestanding - The 1800L dome design incorporates heavy duty 450gsm water and rot proofed canvas tested to Australian standards. Large Sleeping Area - Spacious internal dimensions measuring 2150mmL x 1400mmW. Waterproof Base - Heavy duty 820gsm PVC base with 75mm high return for protection against water ingress. Welded corners and PVC anchor tabs prevent water wicking through seams. Large Double Entry - With nylon mesh door provides easy access, excellent ventilation and exceptional view of night sky. Comfortable Mattress - Comfortable 75mm corrugated foam mattress with anti-microbial additives and a non-rustling machine washable cotton cover. Hat Holder - Head awning with wide brim hat holder is accessible from inside or outside the swag. Internal Pockets - Four integrated internal accessory pockets allow storage of items such as phone, wallet and drink bottle. Internal Hooks - Two internal, high mount hooks and Velcro holder suitable for items such as torches, lamps and keys. Head and Foot Awnings - Featuring multiple attachment points for reflective guy ropes and a solid support bar for reduced movement in windy conditions. External Awnings - Provide protection in foul weather, while zippered internal head and foot storm flaps reduce dust entry. Brass Eyelets - Nickel plated brass eyelets for corrosion protection. Aluminium Bows - Durable, elasticised 11mm aluminium bows for easy assembly and storage. Carry Handle - Soft grip carry handle and heavy duty buckles for easy transportation of the swag roll. Accessory Bag - Heavy duty accessory bag with multiple compartments to store the pegs and bows. Freestanding and featuring a low side entry door that can be opened past the center point for fantastic sky vision, the SkyDome single swag also includes convenient internal storage for a multitude of small items including an Akubra or similar full brimmed hat. 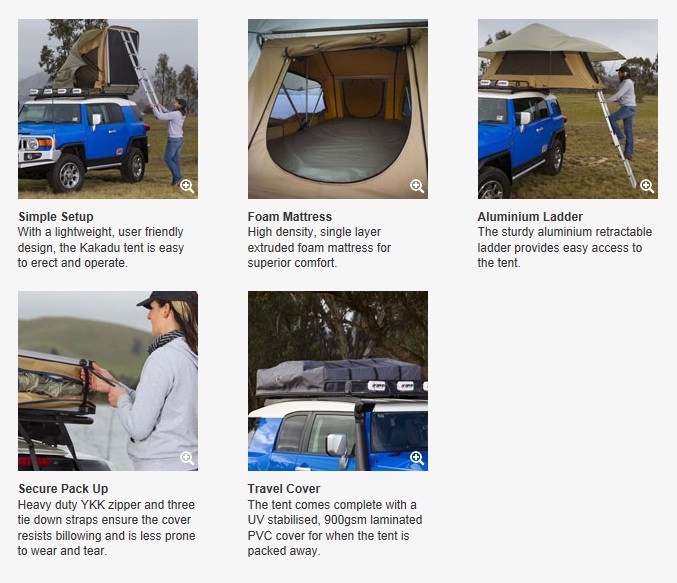 Other features include a 'shooters window' with awning for improved ventilation, quality components like YKK zippers and anodised aluminum rods, and flexible configuration options to suit any climate. One of the biggest problems with camping chairs on the market today is that they are built to meet a price point which effectively means they are not built to last. 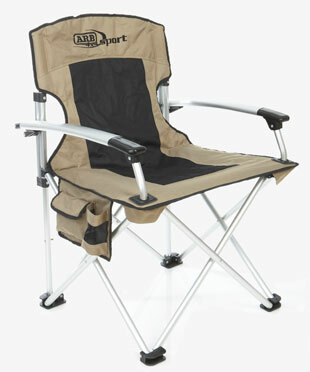 So when ARB started looking for a camp chair, number one on the list of priorities was strength and durability. ARB looked to individually test many chairs and after several months found the design that could stand up to the task. For extra strength and added comfort, ARB specified a chair that had aluminum arm rests and was slightly larger than the standard chairs on the market, but still compact enough to be folded and packed in a carry bag. For extra strength and packability, this chair features locking tabs to keep the chair folded when packed and locked for additional strength when assembled. Satisfied with the strength and durability, ARB is pleased to offer a chair that can stand up to the rigorous demands of our customers.